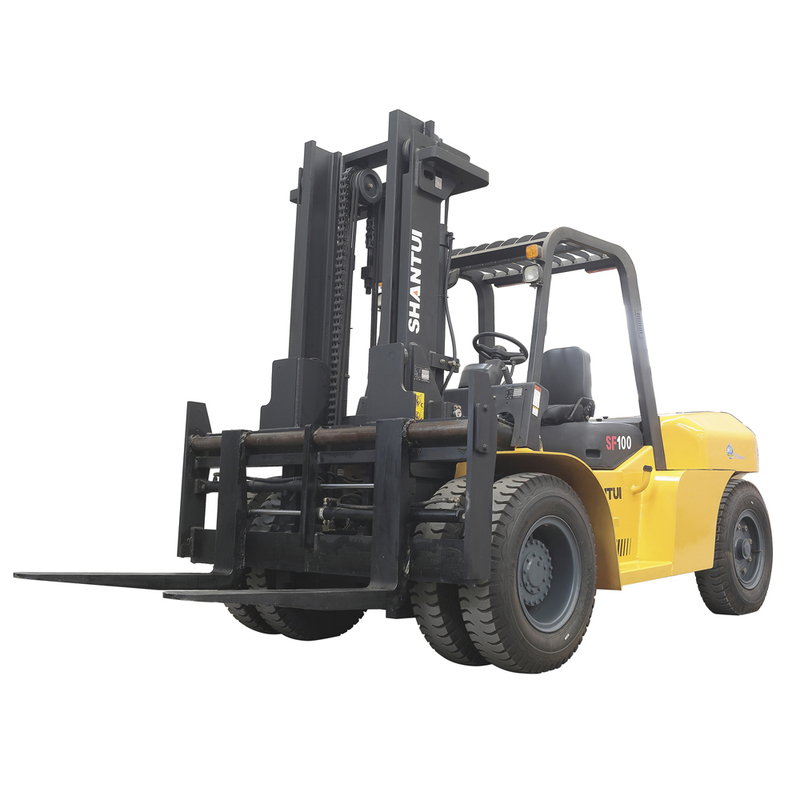 Product categories of 10 Ton Diesel Forklift, we are specialized manufacturers from China, 10 Ton Diesel Forklift, 10 Ton Forklift suppliers/factory, wholesale high-quality products of 10 Ton Capacity Forklift R & D and manufacturing, we have the perfect after-sales service and technical support. Look forward to your cooperation! 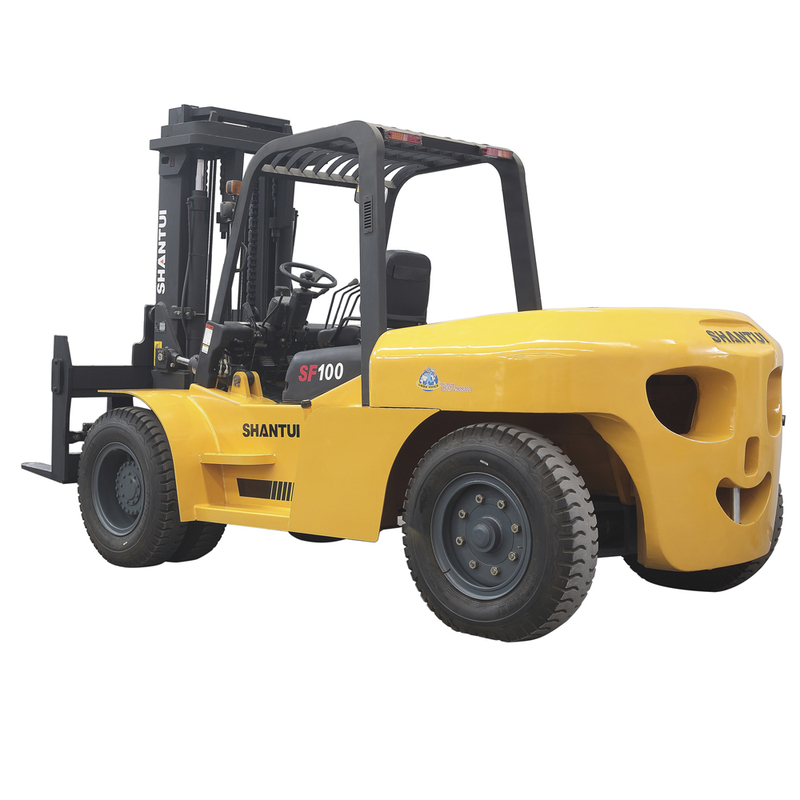 SHANTUI 10Ton Diesel Forklift (SF100) equipment with Original Japanese ISUZU 6BG1 engine or China CHAOCHAI engine, hydraulic transmission, double oil pump, hydraulic assisted steering, front double tires. The machine adopts the large arc streamline shape, with the characteristics of compact and reasonable structure, strong lifting capacity, low failure rate is, good maintainability. It is widely used to handing all kinds of goods in stations, ports, airports, factories, warehouses, etc. 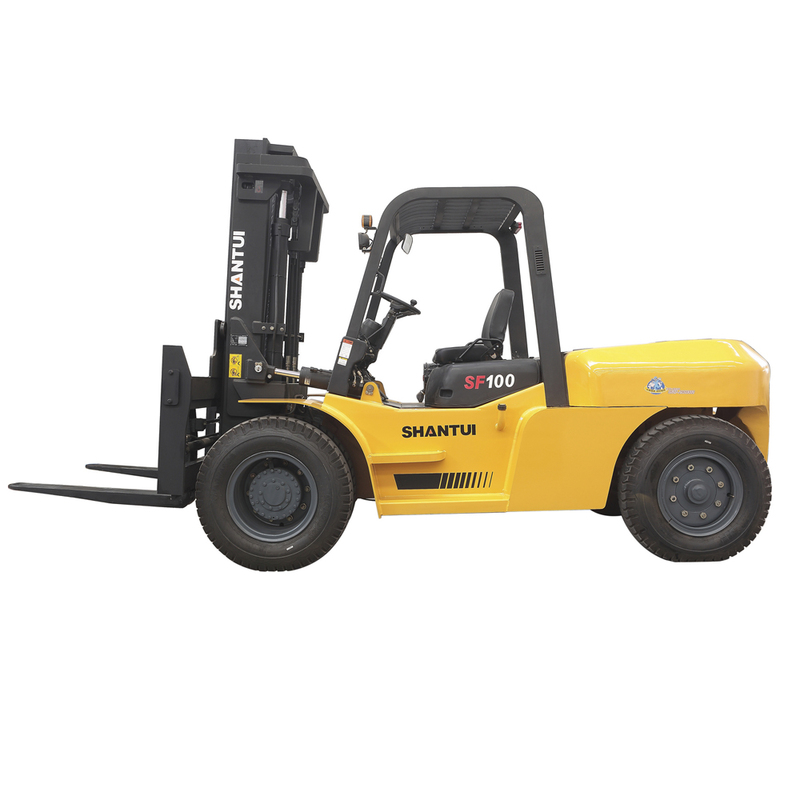 It is the highly efficient equipment for mechanized loading and short distance transportation. The engine is stable and reliable, with low oil consumption and strong power. 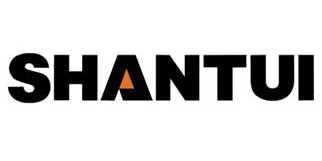 The dual pump design can be used to operate the power steering and lifting device separately, and the hydraulic connector designed for SHANTUI is adopted, which has high reliability and effectively reduces the oil leakage rate. Adopt the latest technology of wire harness and waterproof plug-in, multi-channel fuse layout, safe and reliable. Cabin space is capacious with high quality seat, which give you comfortable driving experience. The design of seeing the edge of the weight from the driver's view can guarantee the best visibility when reverse.